Empire Entertainment was looking to expand their current business offerings which include party and wedding DJ, karaoke and entertainment services. 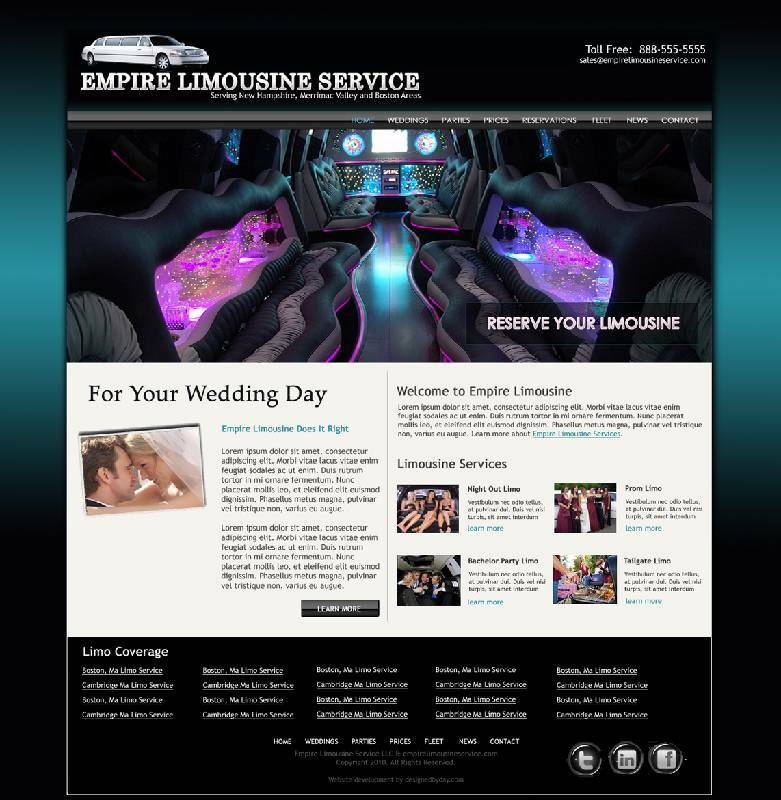 Empire Limousine Service was born and Designed By Day had the pleasure of working with Dave and his wife to develop their limousine brand from the ground up. Designed By Day was tasked with developing a sleek, simple look to highlight Empire Limousine's primary goal - to provide the most inexpensive limousine service in New England.